Thats such a cute photo and love that flair! What a cute little guy and great layout! Good job with the challenge! Thank you for playing along with Scrap Our Stash! How adorable! Great combination of papers and elements. 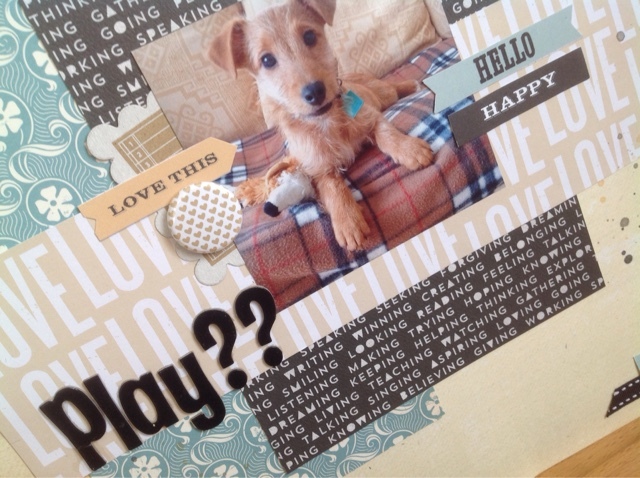 Thanks so much for linking up at Scrap Our Stash!! Super cute pup and page! Oh, so adorable! 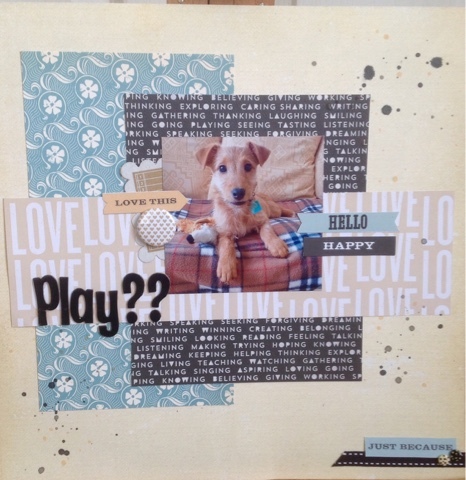 Thank you for playing along with us this month at Scrap Our Stash! This is so adorable. Great take on the BRADS challenge. Thank you for joining us at Scrap Our Stash.